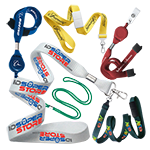 Sturdier and more reliable than conventional badge reels. This heavy-duty black/chrome reel with reinforced vinyl strap features a two feet (610 mm) chain cord. 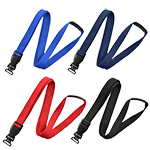 It also has a slide-type belt clip on the back that fastens easily to a user's belt loop or belongings. 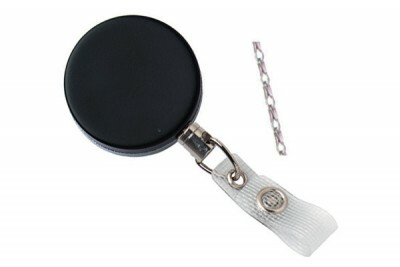 The clip makes this heavy-duty black/chrome reel with chain cord ideal for industries in which the badges or IDs must be kept out of the way. 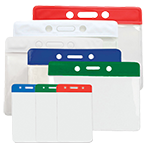 The badge reel is finished with a reinforced vinyl strap. 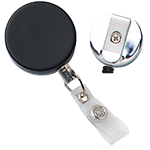 The round heavy-duty badge reel comes in a smart black and chrome color combination. 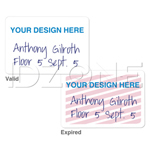 We give these out to our security and maintenance personnel. They love it. It's not flimsy like the cheap ones on eBay. If you need heavy duty reels, these are the ones to get. These are inexpensive considering they're heavy duty. 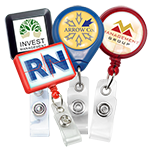 These are very sturdy badge reels. They can take a lot of abuse and still work. We've been using these for over a year now.